How can the superyacht industry encourage more owners to use their resources for good? 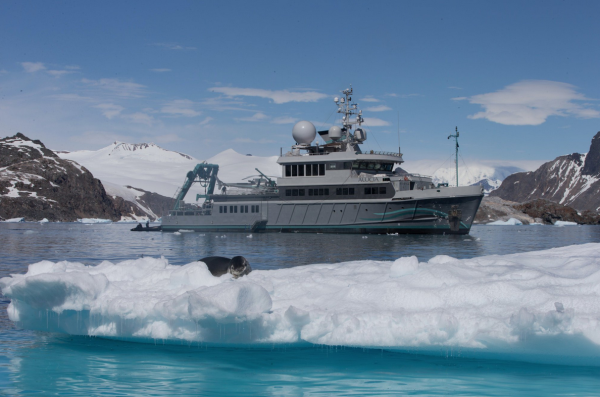 There is a burgeoning number of yacht owners and UHNWIs who are using their resources to purchase vessels to carry out scientific expeditions and humanitarian missions rather than focusing on conventional superyachts. Does this present an opportunity to engage with an alternative type of owner? How can we as an industry better understand and facilitate this ownership model? The late Paul Allen, the Microsoft co-founder and famous yacht owner, hit the headlines last August when his vessel made an unbelievable discovery: the wreck of the USS Indianapolis. The US Navy cruiser was hit by Japanese enemy fire in 1945, with the resulting shipwreck being the greatest single loss of life from one ship in US naval history, forever immortalised in the monologue by Robert Shaw in Steven Spielberg’s 1975 classic film Jaws. The discovery of the wreckage was not due to Allen’s M/Y Octopus, the 126m Lürssen, rather his lesser-known 76m research vessel Petrel. This was not the first wreckage that Petrel had discovered, or her first high-profile expedition (two months earlier, Petrel located the wreck of Italian naval ship Artigliere and has an ongoing collaboration with the National Oceanic and Atmospheric Administration [NOAA]). This latest voyage drew attention to a growing number of superyacht owners and UHNWIs who are purchasing and managing existing vessels to undertake expeditions across the globe, be it to discover wreckages underwater or to be used as a platform for ocean exploration. 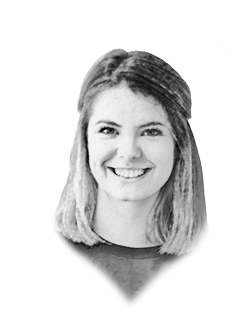 “I think there’s a whole other off-shoot of owners who are looking for something more than just ownership,” begins Alex Flemming, co-CEO of marine operations for M/V Alucia, the 56m research vessel owned by Ray Dalio. “There are many experienced yacht owners, however, there are also potential owners out there that don’t know this is an option; they have made their money, they may have chartered boats, but they are trying to find some kind of tangible reason for owning such an expensive asset," he remarks. Flemming explains that Alucia was purchased by an owner who was fascinated with the scientific community and whose philanthropic endeavours had led to an encounter with Woods Hole Oceanographic Institution (WHOI). Dalio decided to become more involved in their work, and bought a vessel that could be used by the scientific community, allowing them to access areas previously undiscovered and often unreachable. Alucia began her life as a French fisheries research vessel in the 1970s. She had undergone a number of refits before and was acquired while undergoing a mission in the South Atlantic. Here, she helped in the search for Flight 447, the Air France jet that disappeared in 2009. 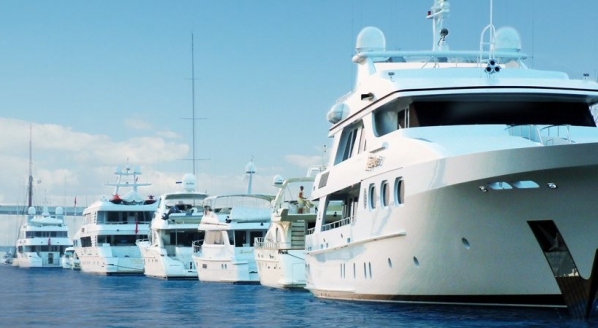 “There are many experienced yacht owners, however, there are also potential owners out there that don’t know this is an option; they have made their money, they may have chartered boats, but they are trying to find some kind of tangible reason for owning such an expensive asset." Echoing Flemming’s comments, Reoch says there is a subculture of people looking to do good in the market among the expected models of ownership. “There are more people – instead of buying a traditional superyacht – they want to get something where they can go teach their kids about science, or teach themselves science. There are a variety of mindsets in the world, and there are only so many rich people, and so there [is] a variety of mindsets among those rich people.” This attitude is becoming more apparent among those who have amassed a vast fortune, epitomised by Warren Buffett’s and Bill Gates’ The Giving Pledge. There is a growing sense of responsibility, where those with the resources feel they should actively engage in more altruistic opportunities. Furthermore, if these charitable tendencies complement an existing interest in yacht ownership, there is huge scope for owners to marry the two spheres by purchasing a research vessel. If these charitable tendencies complement an existing interest in yacht ownership, there is huge scope for owners to marry the two spheres by purchasing a research vessel. Alongside independent experts, there are many organisations that are working closely with private individuals to foster any opportunities to use vessels for ocean research. Woods Hole Oceanographic Institution (WHOI) is a private, independent facility based in Massachusetts, United States. Rob Munier, vice president for marine facilities and operations at WHOI, says the organisation works with a number of vessels owned either by the facility itself, the US Navy and individuals, including M/V Alucia. There are many different operational models that can be put into practice, with WHOI offering complete flexibility as to the extent to which it is involved. Munier cites R/V Falkor (owned and operated by the Schmidt Ocean Institute, an independent organisation funded by well-known superyacht owners Eric and Wendy Schmidt) as an example of the different degrees to which an external group can be involved in a research vessel. Munier explains that the Schmidt Ocean Institute operates that vessel with an ‘in-house capability’, meaning it has its own marine team that organises the day-to-day management of the vessel. WHOI advised the team at the early stages of Falkor’s conversion into a research vessel, and has since collaborated with them on a number of projects. A significant factor (and major benefit for all involved in the projects) is the independence of these research vessels. As they are not wholly tied to a certain cause or institution, they undertake research that can be carried out in a more efficient manner, and may not be highly publicised in academic or wider circles. Munier also highlights how the somewhat conservative nature of government-funded projects means that experimental missions or causes may not be normally be considered; private yachts are not tied to this bureaucracy. Expeditions organised by private individuals or vessels can follow several models; they can be decided by the individual owner, an oceanographic research facility, an independent board of scientists and experts, or indeed a government authority. “When you associate with a private individual who is unconstrained, it opens up new opportunities,” says Munier. The freedom that this autonomy gives is unprecedented. “Alucia has gone to places that more traditional research vessels don’t go to, so that opens up worlds of opportunities for research that wouldn’t otherwise be there,” adds Munier. “They go to places that the academic fleet doesn’t visit.” The symbiotic relationship between independent research facilities and vessels should be seen by UHNWIs as a novel approach to enter this area of the market without the perceived negative connotations of yacht ownership. “Here is a different and unique operating model that helps to enable science, engineering and research in the ocean, which might not otherwise be done under the more traditional areas of support,” says Munier. The symbiotic relationship between independent research facilities and vessels should be seen by UHNWIs as a novel approach to enter this area of the market without the perceived negative connotations of yacht ownership. Perhaps we, as a market, are unknowingly disengaging from a collection of UHWNIs who are thinking differently from the traditional yacht owner. If the superyacht industry looks to promote this path of altruistic ownership, it will not only benefit our market, but also the wider world. We should follow the lead of these visionary owners, and use our industry for the good of all.